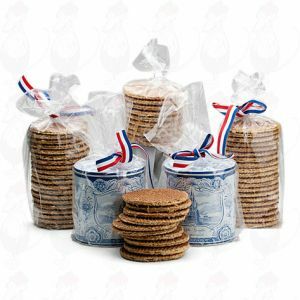 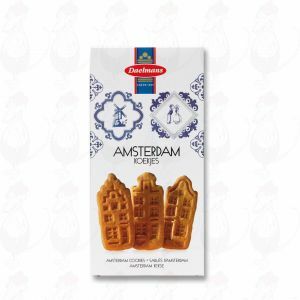 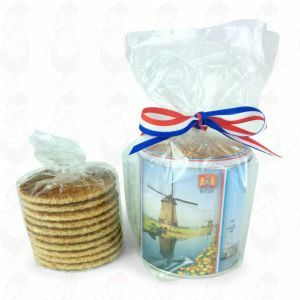 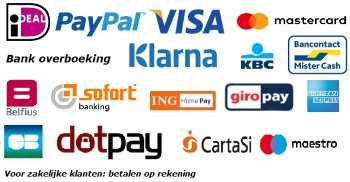 The wafers gift is very nice to give when you have visited the Dutch. It is a typical and historical biscuit, firstly baked in the early 19th century in the place Gouda. 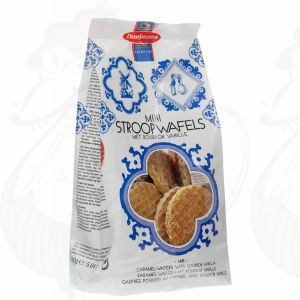 Which why they’re mostly mentioned with this name. 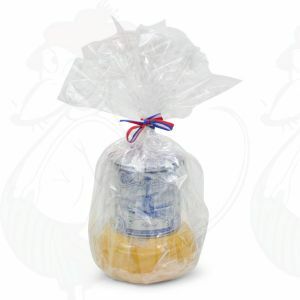 This wafers gift consists of several biscuits with a layer of syrup between them. 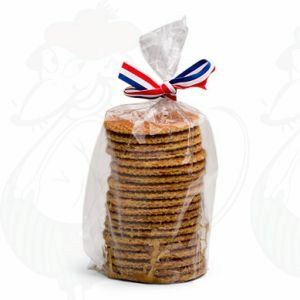 In the assortment we have more kinds as a wafers gift. 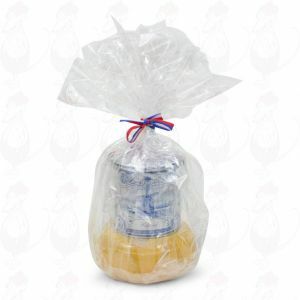 They are wrapped up in foil or in a nice bag coloured in blue and white or in a pot.